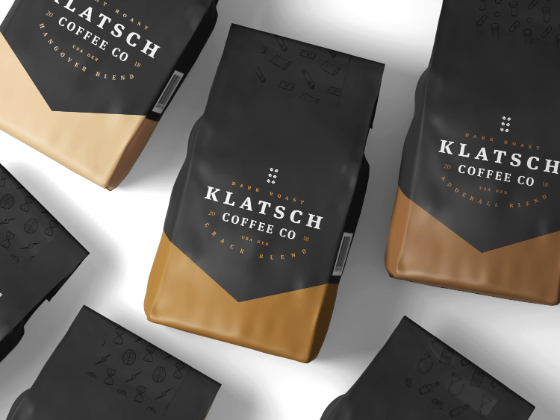 Being an avid coffee drinker, I wanted to create a fictional series of sleek looking coffee packaging that would hold up in todays market, but stand out from the rest because of its quirky, unorthodox blends. Working conceptually while being stylistically sensitive to what’s popular in design today, are what I tried to incorporate throughout the creation of this project. Typography, illustration style, and overall look were taken into careful deliberation. 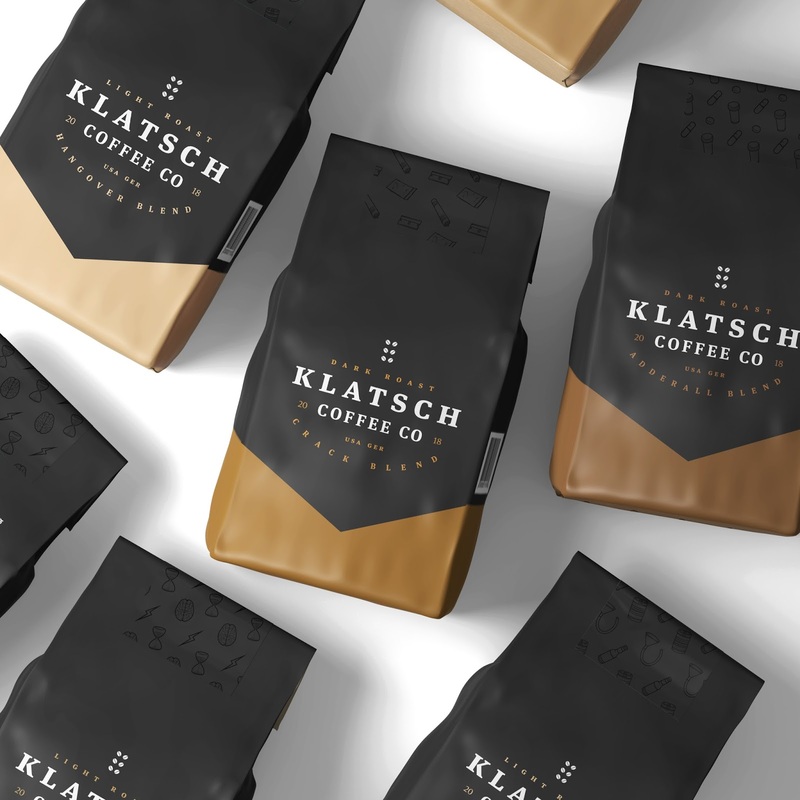 The word klatsch is a German word for “talking or gossiping at an informal gathering where coffee is served.” To play off the brands title, the typography used was constructed by German typographer Erik Spiekermann, who released FF Meta Serif in 2007. 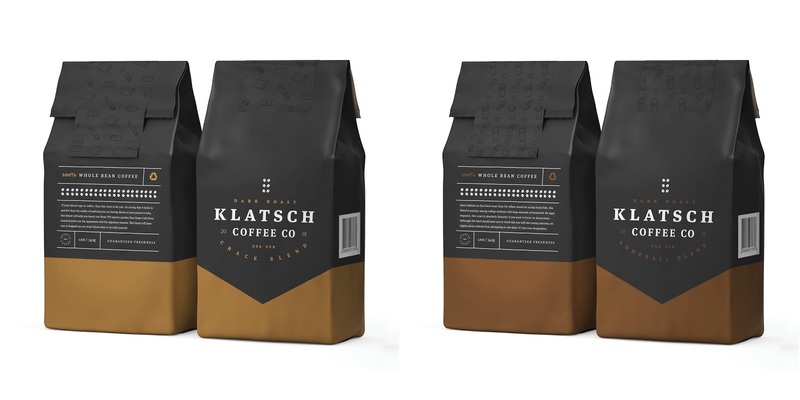 Where the color palette was inspired by the color of coffee, the bottom design element not only helps differentiate each blend, but coexhists with the curve of the lock up. 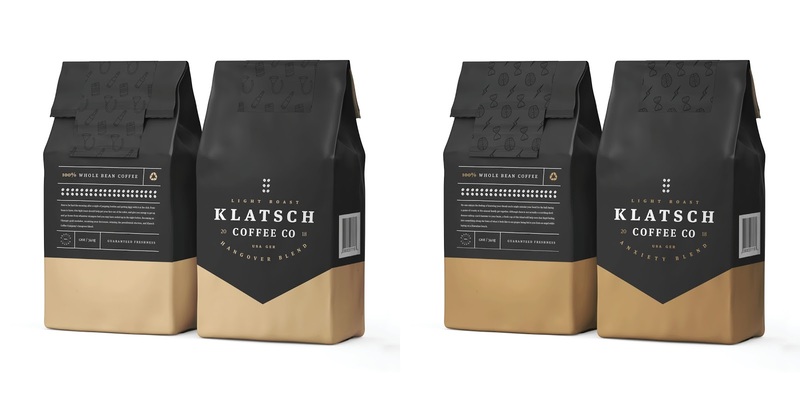 The illustration and repeat pattern styles associate with the clean and formal aesthetic of the brands package. What makes this project special is the concept behind the project and how each blend ties into a feeling. Although each blend is supposed to be somewhat of a joke, the entire project represents the kind of humor I enjoy.